Wireless charging is gradually becoming a more common feature for smartphones, so why not for electric cars, too? Well, BMW is taking a major step in precisely that direction as it embarks on production of its cutting-edge inductive charging system in July 2018. 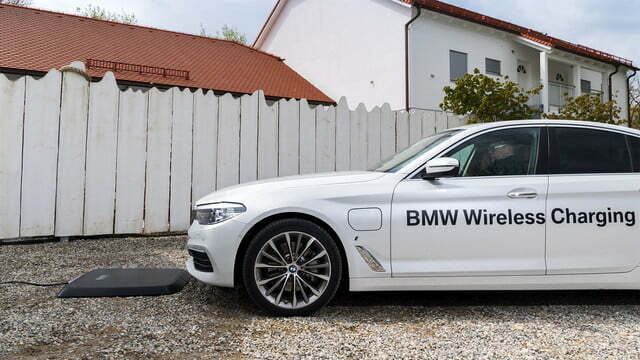 News of BMW’s decision to start manufacturing its charging pad comes courtesy of Car magazine, which said the system will work with many of the German carmaker’s plug-in hybrid electric vehicles, beginning with the 5-series 530e iPerformance. It will be available to European customers by the end of the summer and — according to Autoblog — will also land in the U.S., albeit as a pilot program limited to 530e drivers in California. That’s pretty narrow; hopefully it won’t be too long before it becomes more widely available. 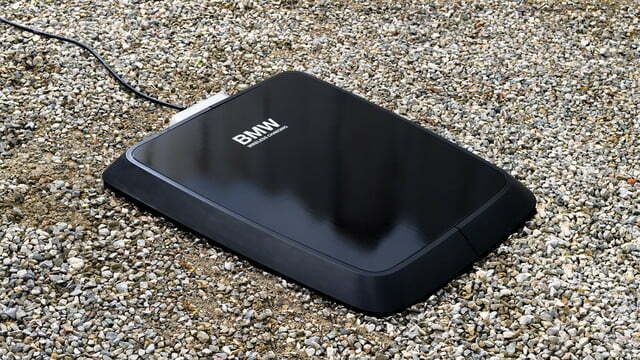 BMW’s charging technology comprises a base pad with an integrated primary coil that can be installed not only in a garage, but also outdoors. A secondary coil is located in the underside of the vehicle. So how does it work in a real-world setting? Well, when the driver parks over the pad in a car that has the wireless technology, blue lines on the car’s display guide the driver to the precise position to enable charging to begin. Green circles appear when the vehicle is perfectly aligned. Charging starts automatically the moment you turn off the ignition. Yes, it’s that simple. An app keeps the driver informed of charging progress, and will also alert the driver to any disturbances to the process such as a cat or other animal resting on the pad. 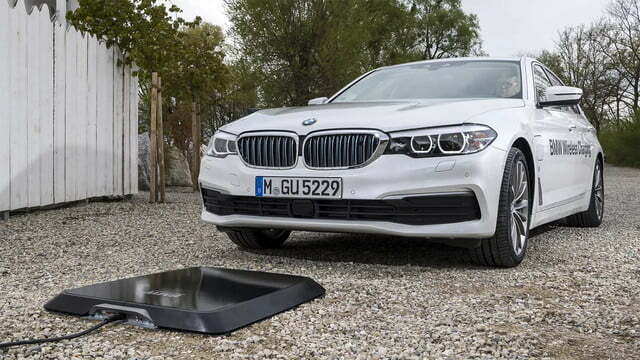 For the safety conscious, BMW says the inductive charging system’s field strength falls well within regulatory limits, while the electromagnetic radiation it produces is less than that of a typical kitchen hotplate. 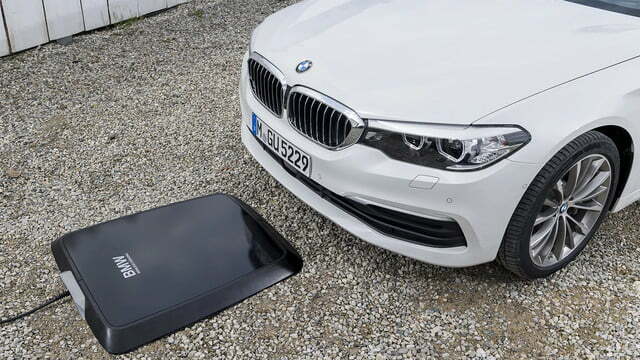 BMW’s inductive charging technology has been several years in the making, with the company first revealing plans for the system in 2014 as part of a collaborative effort with Daimler. The automaker’s introduction of the technology may be a touch on the tentative side, but with a slew of other carmakers working on similar systems, we can expect to see more rapid developments before too long, making charging electric vehicles such a convenient process that owners will hardly have to think about it.